"Through the first several years of life, a child's formation is constant, and this includes their spiritual formation. Whether intentional or not, parents begin their child's spiritual formation at birth. 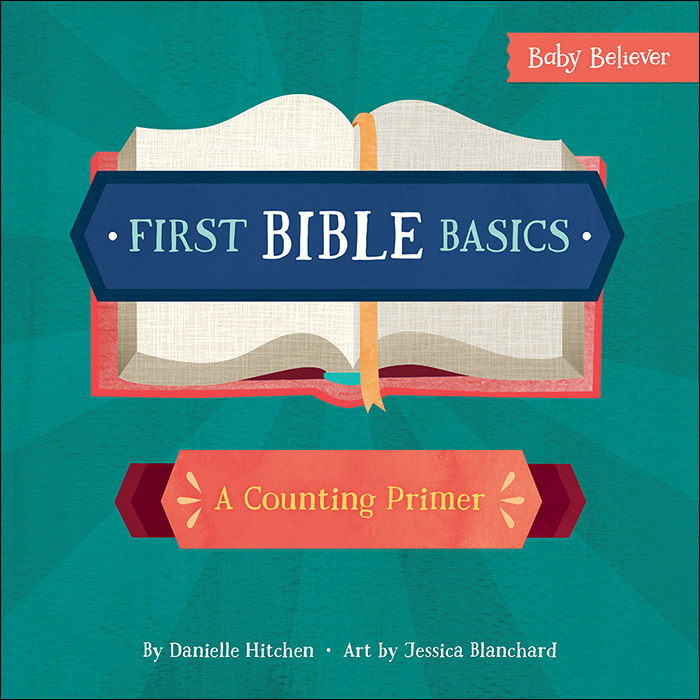 First Bible Basics help parents to begin building the framework to help children contextualize Bible stories and comprehend why we make worship and prayer a regular part of our family life. It helps children to not only observe and mimic faithful living, but also anchors and facilitates the growth of genuine, vibrant faithfulness. 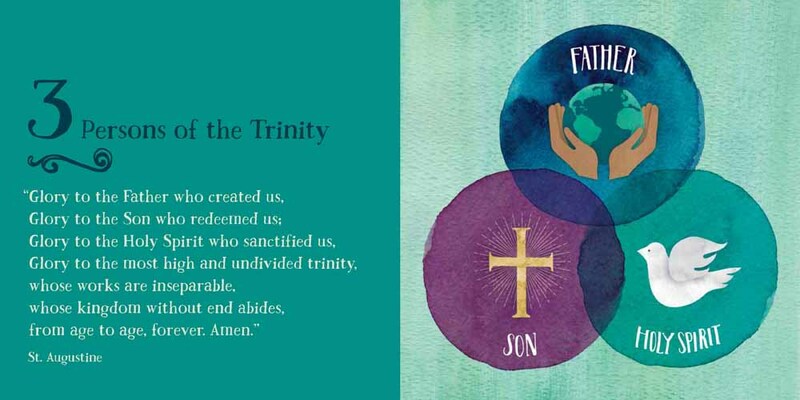 Although small children are not going to walk away from their reading of First Bible Basics with a thorough and robust theology of the Trinity (or anything else), they will become acquainted with the vocabulary of foundational theological concepts. This vocabulary can function as a jumping off point for parents to have deeper, more meaningful faith conversations with their children. 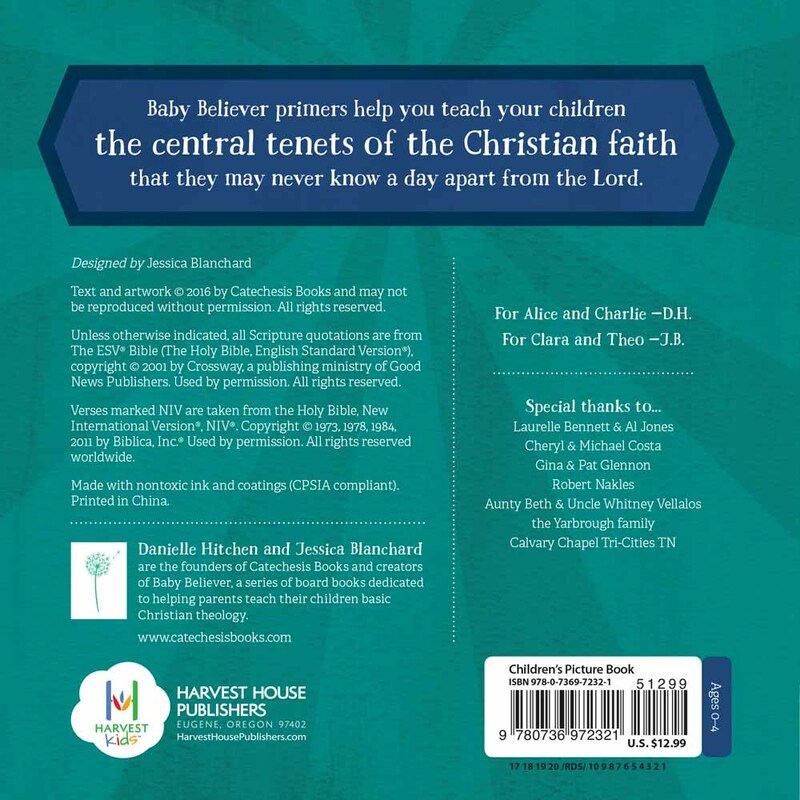 It can be a touchstone that parents return to in order to help their children develop a firmer grasp of the Christian faith." 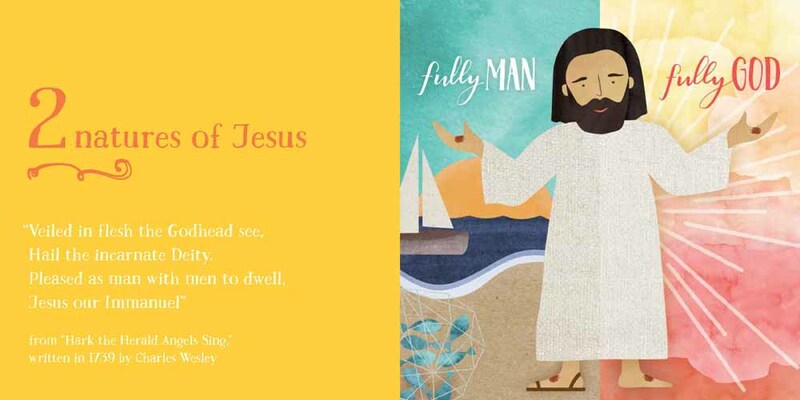 "This book works like a simple catechism that little ones can grow into. And best of all, because the book uses actual Bible verses, it can prepare your babies to listen to Scripture and enjoy it as they get older." 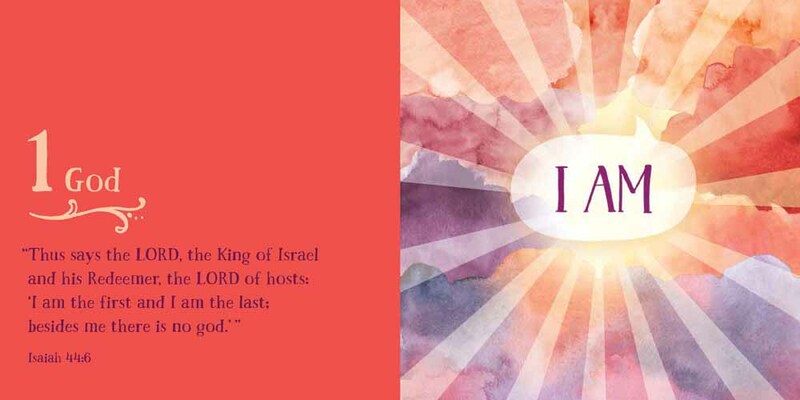 "The wonderfully appealing, bright and modern yet elegant illustrations draw in children and adults alike, while the text provides a foundation for important conversations about God and the Bible that can be tailored to fit any age." —Lauren Flake, Love of Dixie and author of Where Did My Sweet Grandma Go? "The attention to detail is impressive, and the artwork is beautiful. Online pictures don't do it justice; it's much lovelier in person. The style is graphic, to grab babies' attention, but it's artistic, not overly simplistic as artwork for baby books often is."